Our mission is to promote fishing through education, fellowship, and by providing opportunities for competition while supporting local fisheries and charities. As one of the first clubs in the country our legacy is about bass fishing and providing a positive civic reputation. 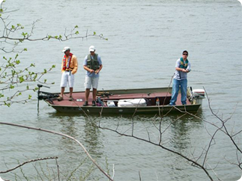 The Bloomington Normal Bass Club provides its membership with a monthly forum in which every member is given the opportunity to keep up to date with current events and voice any questions or concerns. The Club meets the first Wednesday of every month at Sam Leman Chrysler Jeep Dodge of Bloomington 1602 Commerce Pkwy Bloomington, IL 61704 At 7 PM. Sunday tournament entries are taken and drawings are held prior to each meeting; previous tournament awards are given at each successive meeting. The BNBC Board of Directors meets the last Wednesday of each month. 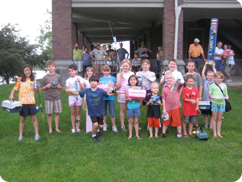 Bloomington Normal Bass Club has always been a cornerstone of the local community. We, as a club, have invested our time, money, and sweat on numerous projects through the years. These have included clean-up projects of local waterways, construction of handicap accessible fishing docks, and installation of lighting at local lake ramps. Above all else we believe in investing in the community’s youth through a number of efforts. One of those is the Annual Charity Tournament. For many years we have held an annual tournament to benefit local charities. Recently we have worked closely with the Shriners Hospitals for Children. Shriners Hospitals for Children is a health care system of 22 hospitals dedicated to improving the lives of children by providing pediatric specialty care, innovative research, and outstanding teaching programs for medical professionals. The money we raise comes from the entry fee and contributions from our sponsors. Half of the entry fee benefits the charity and half goes to the tournament field. We also hold a raffle at the weigh-in of which all proceeds go directly to the charity. The tournament will be hosted April 30 at Clinton Lake this year. If you would like to participate in this years’ charity tournament, please download the form. For more information on the charity tournament, check the calendar of events. If you or someone you know might be interested in sponsoring the event, do not hesitate to share our sponsorship form, or provide contact information to one of our Board Members. 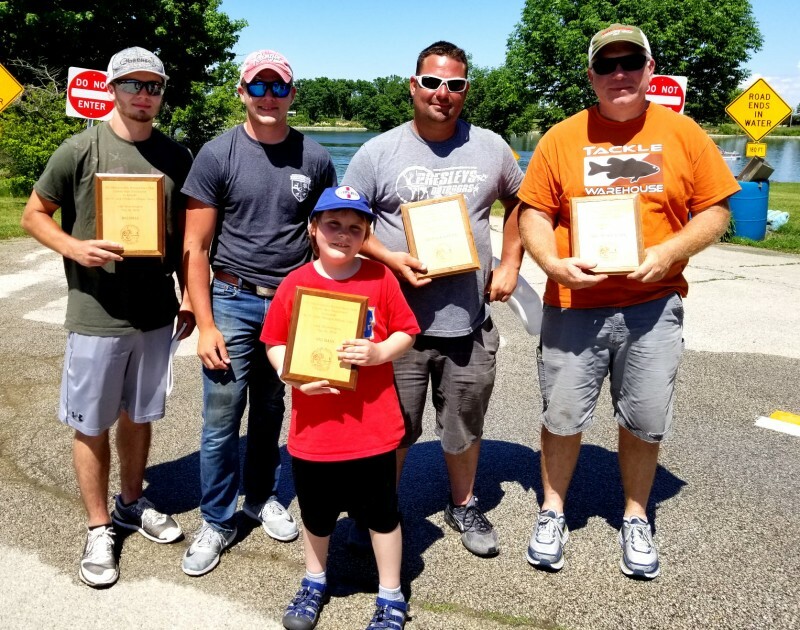 We at Bloomington Normal Bass Club believe that in order for our sport to grow and strive, we should do everything in our power to include the youth in our activities. Accordingly, we host a free annual youth fishing seminar at Miller Park. The seminar takes place on the first two Mondays in June. The first night we instruct the kids about saftey,conservation, knot tying, and various types of tackle to use based on the species they are angling for. The second night we let the kids employ the skills they previously learned. We have a fishing derby where prizes can be won in various age groups. The event is sponsored by Bloomington Normal Bass Club and the Mclean County Sportsmen’s Association. Participants receive tackle packs and a cookout after the derby. This event is free, and open to the public. Check our calendar of events for more details on this, and other programs. Fish stocking is very important to the Bloomington Normal Bass Club. The Club has a longstanding position that highlights conservation, recreation, youth, and stocking. A club that is over 40 years old, like Bloomington Normal Bass Club, can make a significant difference. Stocking of both Lake Bloomington and Lake Evergreen has shown to be effective. 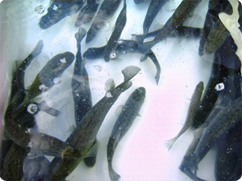 Combined with habitat restoration and creation, it has made both lakes excellent fisheries. We are currently in year two of a five year program stocking Lake Bloomington with smallmouth bass. Combined efforts of the Bloomington Normal Bass Club and the Lake Bloomington Homeowners Association has made that possible. Lake Bloomington is an excellent smallmouth habitat and once held the state record by a long time club member Terry Gibson. We hope to see that happen again. Its more than just tournaments at the Bloomington Normal Bass Club. Its about making our lakes and the parks that surround them better and it is paying dividends. Get involved with the Bloomington Normal Bass Club. Its a family organization where fun, fellowship and conservation are integral parts.